James is a highly motivated individual who is constantly having new ideas. James has a career background in satellite design, wireless technology, aerospace systems and energy exploration. He spent close to six years forking for Northrop Grumman Corporation, leading a project on unmanned vehicle systems. James has a Bachelor of Science degree in Aerospace Engineering and a Master of Science degree in Mechanical Engineering from the University of California. Sam is a qualified Senior Professional EE License holder. Sam has 20 years experience including Satellite Customer, Network Operations and Satellite Video Broadcast. 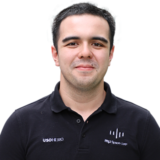 Sam has worked with THAICOM, EGAT and ABB. 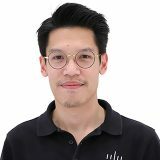 Sam holds an MBA from Kasetsart University and a Master of Science in Electrical Engineering in Telecommunications from the University of Texas at Arlington. 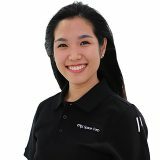 Dao has a longstanding legal career, including her past employment where she spent close to 8 years working for GISTDA (Geo-informatics and Space Technology Development Agency). Dao holds a Bachelor of Law and a Master of International Law from Thammasat University. Dao is also a holder of the Vocational Certificate of Lawyers issued by the Lawyers Council of Thailand. Tum is the CSO of mu Space. Tum also has over five years experience in marketing. He holds a Bachelor's Degree in Computer Engineering. 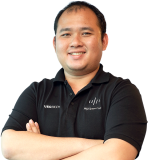 Suwit has over 20 years of work experience in global company like Qualcomm and Nokia. He will lead the company’s business development activities, as well as oversee its expansion into new markets in the ASEAN region and the US. He holds a Bachelor of Electrical Engineering from KMITL and Master of Business Administration from Cleveland State University. Our management team members are qualified professionals with years of experience. They lead their respective teams and collaborate on various projects. 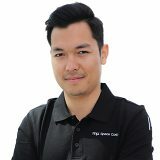 Tum has 7 years experience in satellite digital video broadcasting, transmission control engineering with True Vision and 3 years RF network planning experience with Air Connect. He is one of the senior managers of the engineering team. Tum holds a Bachelor’s Degree in Telecommunications Engineering from KMITL. Mon is mu Space’s Creative Director. He is in charge of all things creative, from creating mu Space’s logo to designing mu Space’s website. Although Mon has a Bachelor’s degree in Industrial Engineering from Srinakharinwirot University, he has found his true calling in Design. 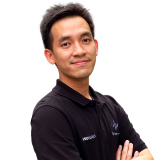 His career experience includes Graphic Design, User Experience Design and Web Design. Philip is a communications and media expert. He has spent a decade working in public relations for telecoms, charities and startups. In addition to his extensive communications and media experience, Philip is a trained staff coach. 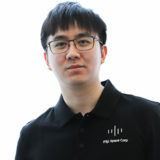 He holds a Bachelor degree in Computer Engineering and a Master Degree in Development Communication. Tawan specializes in legal affairs and matters regarding Governmental deals. He holds a Bachelor of Laws (LLB) from Chulalongkorn University, a Master of Laws in International Trade and Commercial Law from Durham University and another Master of Laws in Maritime Law from the University of Southampton. 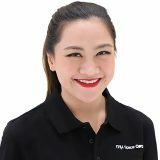 Pon has over 6 years of experience working as Senior Satellite Control Engineer and is part of mu Space’s talented engineering team. Pon holds a Bachelor and Master of Engineering in Information Engineering from KMITL. Mint has 7 years experience as a Specialist Engineer. 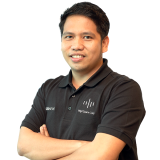 He is an expert at managing satellite monitoring system, telecom and customer service experience. 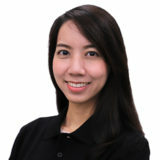 Mint has a Bachelor of Engineer in Telecommunication from KMITL and an MBA from College of Management Mahidol University. 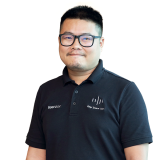 Rut has more than 8 years experience in satellite operations, satellite control, spacecraft engineer and satellite transmission and monitoring system with Thaicom. He holds a Bachelor of Engineer in Telecommunication Engineering from King Mongkut’s Institute of Technology Ladkrabang. Our team is made up of individuals who excel in their fields of expertise. Everyone plays an important role at mu Space. 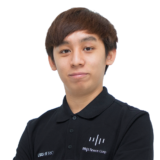 Benjamin has experience in engineering design and conducting product researches for the companies. 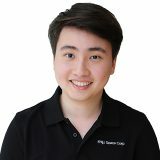 He is skilled at using AutoCad and SolidWorks. 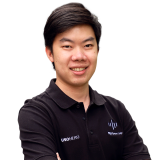 Benjamin holds a Diploma in Aerospace Electronics from Singapore Polytechnic and a Bachelor degree in Aerospace Engineering from the University of Leicester. 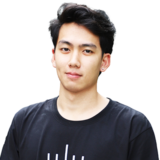 Grin is a recent graduate from Srinakharinwirot University with a Bachelor’s degree in Interactive and Multimedia Design. As the youngest member of mu Space, He already has an impressive portfolio of works and is full of potential. Grin specializes in 3D animation and motion graphic. As a child Pond was fond of drawing and dreamt of being an artist. Growing up he discovered Graphic Design and before long, he found his career passion. Pond aspires to create original and striking design works. Pond has a Bachelor of Art in Visual Communication Design from Bansomdejchaopraya Rajabhat University.